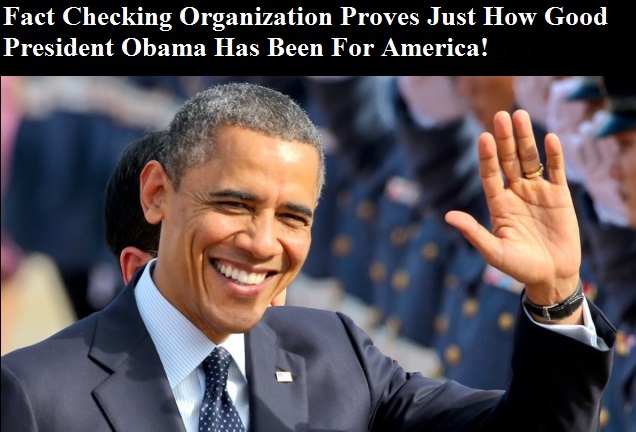 Fact-Checking Site Proves Just How Good President Obama Has been For America. So When Republicans Say That President Obama Has Been The “Worst President In History,” They Are Clearly Throwing Red-Meat To Their Uninformed, Brainwashed Gullible Crowd! 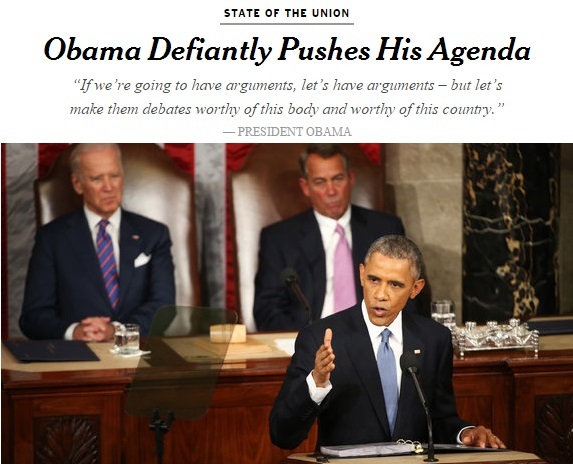 Following His annual State of the Union speech, many Republicans have been quite critical of the supposed” arrogance” President Obama displayed while giving his address. Then again, what’s new? 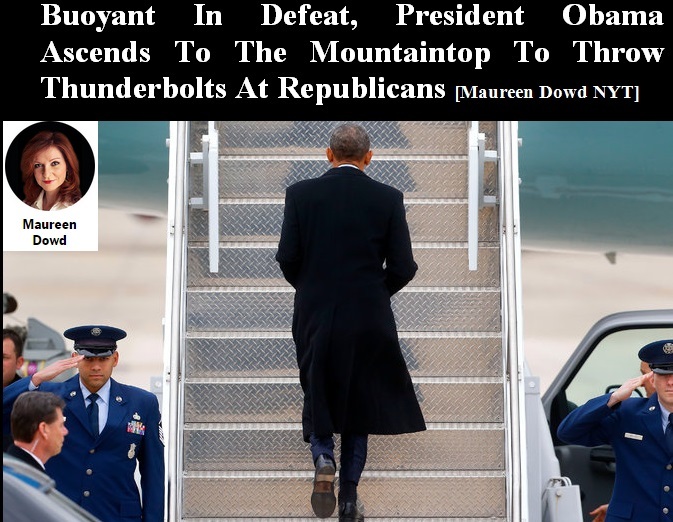 Republicans have been trying to paint the President as arrogant and “out of touch” for years. But with all recent SOTU address speeches, Fact-Checking Organizations usually work overtime in an attempt to investigate whether or not what the President said during his speech was factually correct. And this year was no different. And when it comes to the “Truth-O-Meter” over at Politifact, President Obama’s SOTU scored extremely high marks for accuracy and truth. When he said that America is number one in the wind power, that was rated as “Mostly True” with the only caveat being that China technically has the capacity to produce more wind power, but we convert more of it into electricity. Then there was when the President said we are creating more jobs than at any other time since 1999, Politifact rated that 100 percent “True.” We all remember 1999, right? You know, the last time we had a Democrat in the White House. 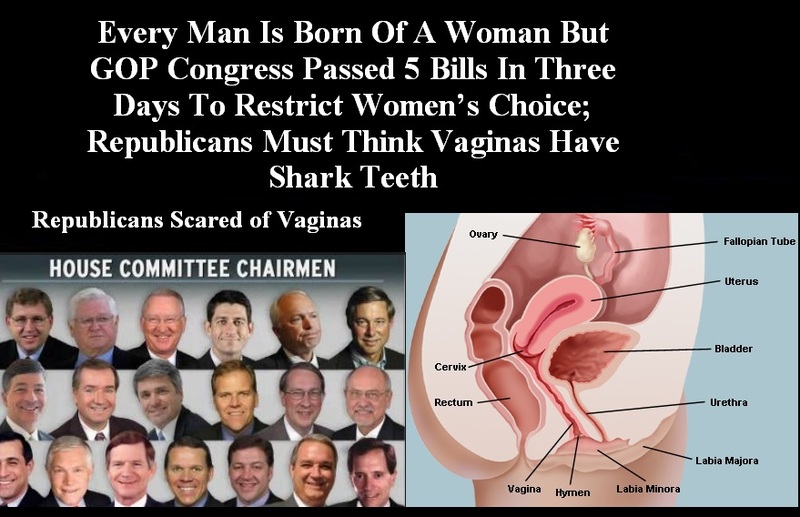 Misogynist Republicans Must Have Serious Fear Of Vaginas; GOP Congress Passed 5 Bills In Three Days To Restrict Women’s Rights. They must think Vaginas have teeth! What is really wrong with these lunatics that the uninformed, ignorant, uneducated, brainwashed are not only voting to put them in Office, but they vote to keep them in Office. Now that the Republicans Control Both Houses of Congress and considering they haven’t done anything for 95% of the American people or America in the past six  years, one would think they would pass Jobs Bill, Veterans Benefits Bill, Infrastructure, Minimum Wage and Bills that would benefit the Working Class, Students, Poor and the Elderly. But that is not what they have done in their first week and now four days into their second week. They have spent time and Money passing Bills that have no chance of becoming Law with the President promise to Veto any and all Bills that are not in the Interest of America or its people. However, they have passed Keystone, five  Abortion Bills, a Bill to fund the Department of Homeland Security with an Amendment to repeal President Obama’s Immigration Executive Orders signed in 2012 and 2014. They have also passed a Bill to defund Obamacare. Perhaps, just perhaps, we need Laws on the Books that if Congress takes Money under false pretenses, they should be charged with a Felony and mandatory Prison time. Such as was when Debtors Law Existed. Perhaps one day in the near future “We the people would have an opportunity again to have a Government by the People and for the People.” At the moment the Republican Party is one branch of the Government that is for only 5% of the People. 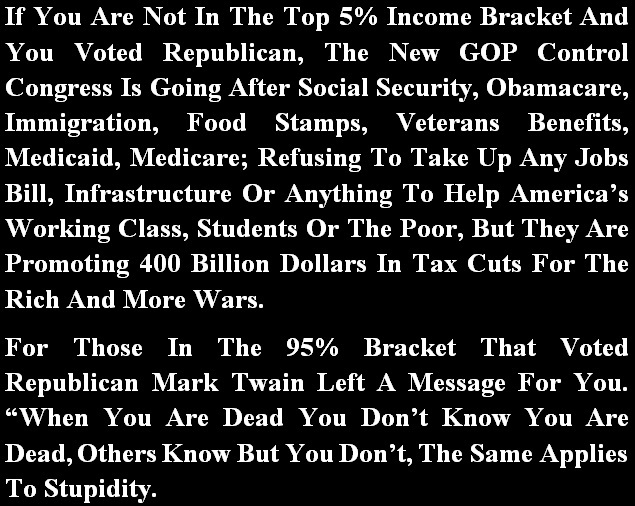 If You Are Not In The 5% Top Earners Voting Republican Is Against Your Own Interest And That Of Your Children And The Generations To Come.